In 2009, the Aluminium Smelting Company of Nigeria (ALSCON) located at Ikot Abasi in Akwa Ibom state set up a scholarship programme with the main objective of providing financial support to local students of the Ikot Abasi LGA as well as its neighbouring areas. In 2014, the programme plans to grant scholarships to students from communities from Ikot Abasi, Mkpat Enin, Eastern Obolo, and Oruk Anam in the Akwa Ibom state as well as to neighbouring communities of Opobo/Nkoro and Andoni in Rivers State. 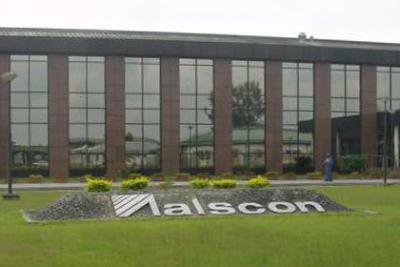 The ALSCON Smelter announces the launch of its annual Aluminium Smelting Company of Nigeria (ALSCON) Scholarship Programme aimed at supporting local communities. Beneficiaries of the programme are selected in line with specific criteria and requirements of the scholarship programme Organising Committee, comprising members of ALSCON’s senior management, as well as having to pass preliminary tests. Eligible candidates for getting scholarship benefits should be year 2 students of any of the universities in Nigeria and possess certified documents on his/her academic performance and proof of origin from one of the areas covered by the programme. More than 211 local students have received financial support from the plant, during the years of existence of the scholarship programme (i.e. 2009 - 2013). Each beneficiary receives N45,000. The RUSAL / ALSCON scholarship programme is focused on improving the standards of education in the Niger Delta. The organisation notes that free application forms to take part in the scholarship programme can be submitted by any interested student, who is local to the area covered by the programme, and who meets the set selection requirements. Application forms are available at the main gate of the ALSCON plant as well as in the secretariats of the Heads and Chiefs of Clans of Ikot Abasi LGA and at the Ikot Abasi Students Association from May 1 to 31, 2014. Examinations and concluding formalities for the programme are planned for June 2014. Application forms are available for FREE at the points mentioned above, and must be submitted between May 1 to May 31, 2014. Deadline for submission is May 31st. Located in Ikot Abasi, in Akwa Ibom state, ALSCON is part of United Company RUSAL - a leading, global aluminium producer; and assistance in the field of education is an important part of the company’s corporate social responsibility (CSR). UC RUSAL, the world’s largest producer of aluminium in 2012, accounts for approximately 9 per cent of global production of aluminium and 8 per cent of alumina. UC RUSAL employs about 72,000 people in 19 countries, across 5 continents. The RUSAL-ALSCOM scholarship is highly appreciated by the leaders and members of the traditional communities of the region and especially by the students and their parents. ALSCON’s assistance for education also includes the monthly financial support of three schools of the plant. Besides its investment in education, RUSAL-ALSCON assists the region in the spheres of healthcare, development of sports and also provides free electric power and a water supply to the built-up areas of Ikot Abasi.